When the desert world of Arches National Park experiences a wet spring, visitors are treated to beautiful flower blooms. 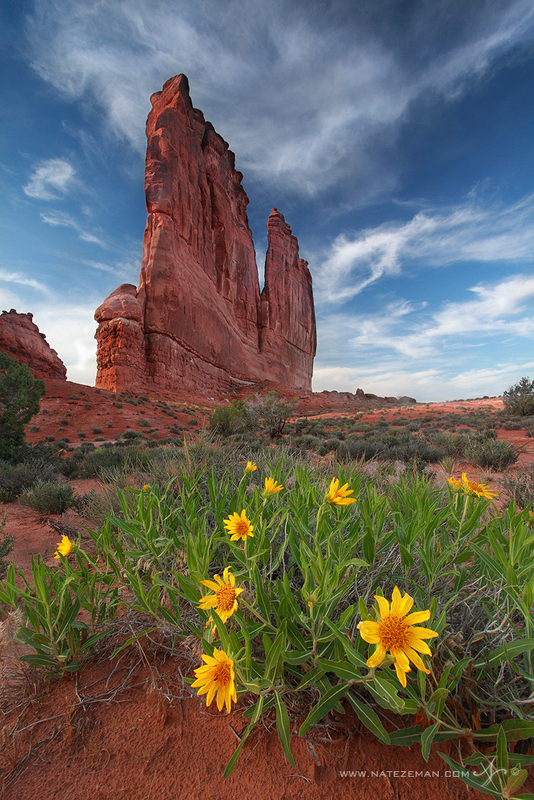 Here, rough mule's ear flowers add another splash of color to this already magnificently colored landscape. The giant monolith in the background is known as "The Organ" in the Courthouse Towers area of the park, and is one of the most recognizeable features in Arches.